Sci-fi thriller Anon sees Clive Owen play a detective in a near-future where everyone’s life is recorded down to the millisecond. But, the actor points out to Georgia Humphreys, is the world the film portrays actually that far from our own? 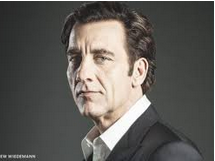 Clive Owen has a theory about being famous. The actor, 53, argues even the biggest film star in the world could go into a bar in central London, sit quietly and have a drink at the back – “if they carried themselves in a certain way”. “There’s a heat that comes with being in the film business and you want people to see films, so you have to put yourself out there,” admits the Coventry-born star, known for roles in silver-screen dramas such as Closer (for which he won a Golden Globe) and Children of Men.